The time is now to make a choice to lead toward success. You may not see your wishes come to fruition until the New Moon in Virgo in September, but now is the time to begin the transformational process which can lead to victory for you, which includes recognition for a job well done. You have a great deal to offer the world, if only your immediate one. The actions you take at this New Moon will show their first signs of impact over the next few weeks, particularly around the time of the upcoming Summer/Winter Solstice, which occurs at the time the Sun makes its entrance into the sign of Cancer. Important doors are beginning to open for you. There have been, and will continue to be, times when you feel as though your plans have been thwarted by the Universe, or, at the very least, that you feel you are incapable of enacting them. You will find all of this to be changing. Monitor your progress with each passing New Moon, and know that your true rebirth which you seek will come after August. Assemble your time, if you have one, and prepare yourself, for, when the timing is right, the future does indeed arrive. The bonds and relationships which you have formed enable you to break away from old, outdated habits, and your choices include life-altering decisions which prove beneficial to you for the long haul. This entry was posted in Artist, General Tarot, New Moon, Patreon, Readings, Through the Eyes of Tarot and tagged Gemini, Guidance, Leo, New Moon, Path, Reading, Tarot, Venus. If you have been waiting around for something to happen, or even a sign as to what it is you should do to make it happen, then now is that time. Rise to the calling before you to help you achieve at least one of the wishes on your list. You can be pleased as punch with yourself over these next four weeks as good news comes your way allowing you to create a new beginning which you have desired. Keep life in balance especially around relationships; extreme behavior will not be in your best interest at this time. Your primary goal has been to acquire a greater sense of security than you have had in some time. It would appear to be the root of the plan in order to manifest everything else on your list. A careful review is necessary now; the status quo is changing and it is important for you to know what truly works for you. Playing things easy and going with the flow is the best thing you can do to see your way through any difficulties you may anticipate; remember that by not rocking the boat things will go much smoother. While this is your journey, these next four to six weeks require you to put a little faith in the Universe that you are being guided in the proper direction. It in no way means you should sit idly by and hope you will wind up somehwere better. This entry was posted in General Tarot, Patreon, Readings, Through the Eyes of Tarot and tagged Gemini, Guidance, Path, Reading, Sun, Tarot. 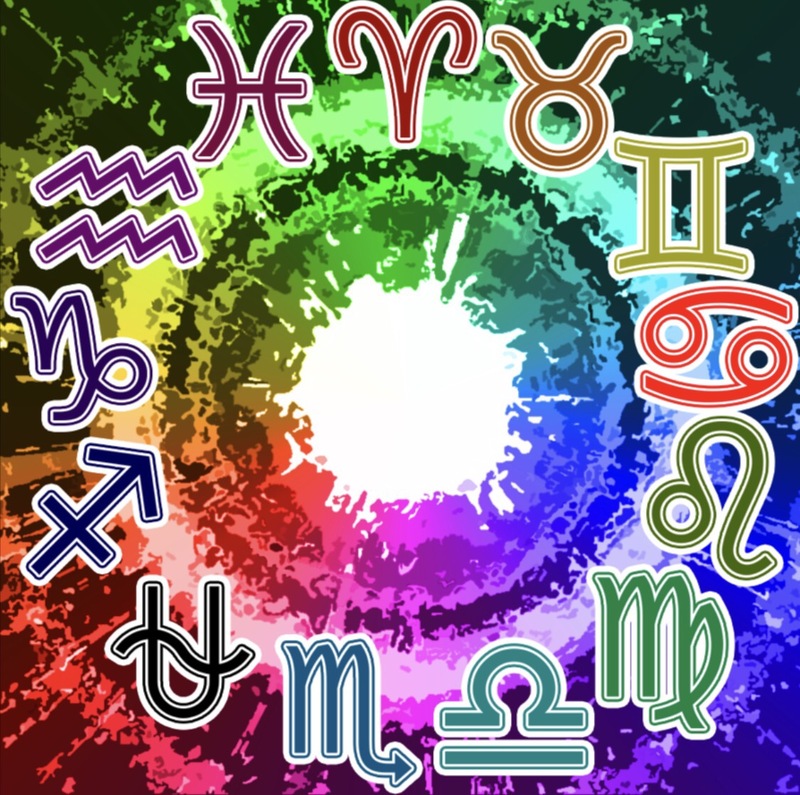 Gemini energy has a tendency to be a bit scattered, and if faced with an important decision, you may find it simply is not that easy to make it at this time. There is movement toward putting life in its proper order once again, after a seemingly lengthy period of hardship. You are working toward your abundance, but may find it difficult to zoom in on reality. This is likely because those hard times are not easily forgotten, and they have a way of clouding one’s hopes and dreams and the mind loves to replay scenarios of doom which are totally unrealistic. One can always learn lessons from past experiences, so in order to create the new life which will allow you to fulfill your desires, you need to strike the perfect balance. Extreme measures are not the answer, but a careful review on your part, contemplating your changes, will assist you in knowing what will work for you and what will not. Remember that you are the one doing the creating, so be very clear on what it is you wish to manifest. Do not be afraid to explore new, unknown paths, you never know where a couple of life’s detours may lead. 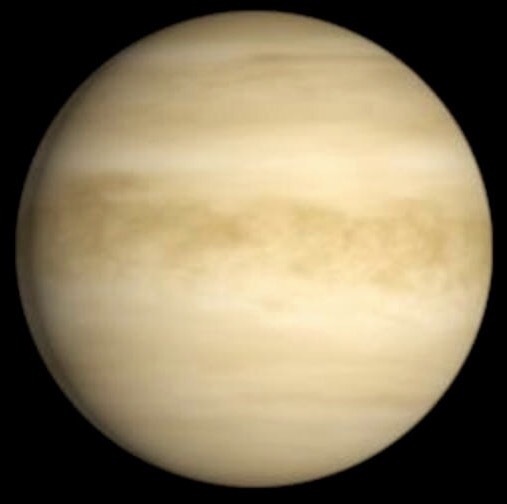 Venus, of course, will ask you to look at relationships, and, in doing so, it may be a good idea to go over in your mind the patterns you have formed over the years with regard to how you make relationship choices. It may be necessary to move on from one relationship to begin another. That next relationship adventure is coming around the time of the August Full Moon. The Universe is conspiring to fill your wishes, and the key appears to be in the letting go of the past. When you are free to move on, so much more awaits you. I have prepared a Special Tarot Guidance for Venus in Gemini (25:42 in length), available as part of a $5 per month Patreon subscription… https://patreon.com/tarotbycecelia or through my Facebook Members Only Special Tarot Guidance Area, accessible by clicking on the blue crystal ball at the top of my Facebook page. Try it for only $1 for the first month, then $5.99 thereafter. This entry was posted in General Tarot, Patreon, Readings, Through the Eyes of Tarot, YouTube Videos and tagged Gemini, Guidance, Path, Reading, Tarot, Venus. This month is a turning point for you. You have gone from not knowing what to do about a situation, thinking it would never change, to seeing it change. Making it to this point was no easy task, and you are feeling empowered by the possibilities of continued change. Saying goodbye to a rather long cycle which left you feeling powerless is exhilarating to say the least. New doors are opening this month, and it will be necessary to make new plans. You can feel proud of yourself for your accomplishments, and intuitively you are making better choices toward your happiness. A complete rebirth, a new way of life, is at hand, and more important than anything, the healing can begin. You have made many changes, but by reclaiming your power in that one area that hurt you so much, allows you to heal in such a way as to return a gentle balance to your life. Emotionally, it may not matter what else is going on around you, for a peaceful calm has finally arrived. Stay true to you, and march to the beat of your own drummer. Your recent choice, possible in the second half of February, has opened the door to massive change and transition for you. For the first time in a very long while, you not only feel, but you know, that life is getting back on track, and you are much more in charge of your own direction. There were many lessons learned during the hard times, and you will likely never forget them. With this door which is opened, you are still choosing, and, as your days grow brighter, so does the light which shines from you. Your next pivotal moment will be around the time of the Solstice in June. What is done is done, and there is no need to lay blame, or to point fingers. The change to abundance can become a drastic one, as you see things coming to fruition. This is the birth of an incredible new phase, and you are breaking out, stuck no more! Let your intuition be your guide as the healing continues, and the next part of your journey shows increased security and less stress. Aries, the time has come to begin considering other options. Your perspective is changing, and the time is upon you to give something up, likely by June. It does not appear to be in alignment with the goals which you had for yourself, but it will lead you to a greater sense of independence. There is more to life than what you have been doing. Accept that you have been through the worst of it, and it is time to move on and build a new life with a firmer foundation. Doing the right thing will garner you praise from many, and in a few months you will find that this new plan has created a recipe for success. You may find yourself concerned for the emotional wellbeing of a loved one this month, Taurus, but your worry is not necessary; fate will see to it that things change. In your own life, quieting all of the possible scenarios which do nothing more than rob you of your sleep, gives you greater focus toward assuming charge of your life in the coming months. This kind of change may represent control which you have never before known, and you will find a new sense of independence coming your way by the Solstice. This month affords you the opportunity to finally break free and soon be moving on into new territory. Gemini, the status quo is up for review this month. If you are not fully manifesting the life you want, it may be time to listen to that inner voice of yours which may be screaming at you to take charge and make some sound life decisions which can ultimately contribute to your happiness. Not everything in life is in your control, and recognizing when a situation, or relationship, has outlived its purpose, you may finally decide to move on and create a better life for yourself. The Universe is filling you with hope that you can achieve your dreams through doing the right thing, maintaining a great reputation, and taking your time to make sure things are done right. In trying to restore life to a firmer footing, Cancer, you may not have been making necessary progress with your goals. March brings an opportunity for manifestation, possibly in the financial realm which enables you to finally move forward toward your hopes and dreams. Once you have received this message, you will feel more carefree regarding the ensuing transition which will bring you balance. Your position this month is such that the only thing that can stop you is you; you just need to make the decision to change your life, and the new beginnings will be yours. By May, June, you will be toasting your success. Leo, advice could be coming at you from all directions in March. Some may harbor ulterior motives and it is up to you trust in your heart; know that you will figure it out by the Full Moon in Libra at the end of the month. The Universe has a hand in this, and many changes may occur throughout the month, designed to put you off in the direction you need to go. Think of it as some sort of maze in a reality tv game show, wherein you need to remember the facts in order to proceed. Guesswork won’t work; be realistic in your endeavors and keep your priorities straight. This will aid you in the pursuit of your hopes and dreams. You would appear to be taking a very aggressive approach in a particular area, Virgo, without regard for the consequence. It is more of a win-at-all-costs vibe, rolling over anything and anyone in your path. March is a turning point for you, in at least one aspect, but you need to remember not to ignore the situations which need your attention. They may not be ready to come to fruition yet, but it is important that you devote the proper amount of care to each of your projects. Your goal is indeed to move on, leaving behind so much nonsense, not just turning your back on it, but finding yourself a peaceful space. Libra, things may feel a bit restricted in some sense, up until the time of the New Moon in Pisces, when you can finally lay a matter to rest. After the New Moon, you are feeling as though you have regained your power with a particular situation. 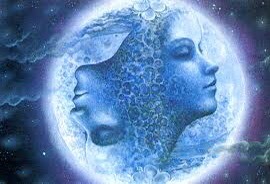 Any matters pertaining to family are smoothing out by the time of the Full Moon in Libra on the 31st. You require balance and prefer to share, not being one sided does not suit you well, but should you find yourself on the outs with others, it is possible to crash and burn. Take away the lessons of this month and use them to continue your quest for the fulfillment of your dreams. March may find you questioning whether you are manifesting what is in your highest and best interest, Scorpio. Know that you are, and if you feel as though you should be moving on, know that it may not be just yet. You will be achieving the emotional fulfillment you desire. Have patience with yourself in the coming weeks, for while you are working on moving forward, you may also feel as though you are not going anywhere. When it comes to relationships, let bygones be bygones, focus on the happy memories, and leave the difficult ones in the past for good. Sagittarius, beware of distractions this month; you will need a laser-sharp focus to concentrate solely on the prize you are attempting to obtain. 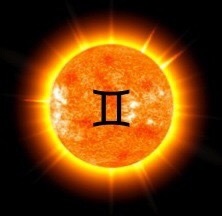 It will be yours by the 20th, when the Sun is entering the sign of Aries, and we begin the new astrological year. Others will stand up and take notice of your success, and your standing within your industry is highly favored and respected. You are busting out in March, and prepared to take the scenic route of change during this part of your journey. Having felt as though you had been through the wringer, Capricorn, you are ready for positive change on the horizon. This is a transformative year, to say the least, but you will find that March holds at least one door allowing you to create a fresh start, provided you use the resources available to you to make it happen. You may occasionally feel at odds with yourself, as your practical, grounded, and down-to-earth self wants to leap forward, despite any obstacles there may be. Use this time to assess all of your options, then proceed to move forward successfully toward your vision for change. Aquarius, the recent eclipse in your sign could very well have eclipsed a person, or two, from your sphere. This leaves room for the doors to begin opening onto new and exciting aspects of life which will be of your own creation. Allow yourself to be both the teacher and the student, as you will benefit from both, and share your experiences with others who look to you for direction. Not everything comes with the snap of your fingers; you are anticipating transition, but it will not come without patience. First, there are responsibilities which must be met. Your birthday month is here, Pisces! Have you been feeling a bit stifled by routine and expectations from higher ups? There is a change around you by month’s end, and others will be celebrating your successes with you. The recognition you deserve is coming. Absolute clarity is coming your way, and at a moment’s notice, you are suddenly able to go from not knowing what to do, to fully feeling the choice is finally yours. Choose with wisdom, to achieve the fairness you have been wanting for so long. When the Sun has reached the sign of Cancer, you will see at least one of your wishes coming in your direction. This entry was posted in Astro-Tarot, General Tarot, Love and Finance, Patreon, Readings, YouTube Videos and tagged Aquarius, Aries, Astro, Cancer, Capricorn, Gemini, Guidance, Leo, Libra, Path, Pisces, Reading, Sagittarius, Scorpio, Tarot, Taurus, Virgo. It is eclipse season, and relationships, including those with authoritative figures and institutions have likely presented obstacles at the time of the Full Moon. Your abilitity to create your abundance is being called into question, and decisions will need to be made. You can launch new things this month, and find new approaches as well, provided you do so creatively. It is as though the writing is on the wall, and intuitively you know this, no matter the type of relationship. It is not always the easiest thing to do, but playing nice would appear to be in your best interest. If you do feel challenged by any relationship, whether it be personal, or work-related, your power remains in your creativity, and your ability not to engage. While they may be temporary fixes, actions taken to circumvent issues, rather than challenging them, appears to be the way to go. Everything changes, and sometimes the best way to a resolution is to not get in anyone’s face. You may need your thinking cap on in order to skirt any roadblocks or pitfalls on your path, but you possess the skills and resources to dodge that bullet. Success through patience. Practice moderation in all areas of life, and focus on your own self and your balance. Learn from the details of the past, and continue to work on your To-Do List. The best way to remain in charge of any challenging situations is by remaining even-keeled, which is doable, but often easier said than done. Everyone has times when they feel as though life has crashed and burned. Remember, the dark always precedes the dawn, and the light always returns. These are phases, and you will possess the clarity to rise to any challenges, and the Universe shall provide the means to manifest. There is a sense throughout that goodness shall prevail, even if it feels as though it takes a hit, or slows down your speed. 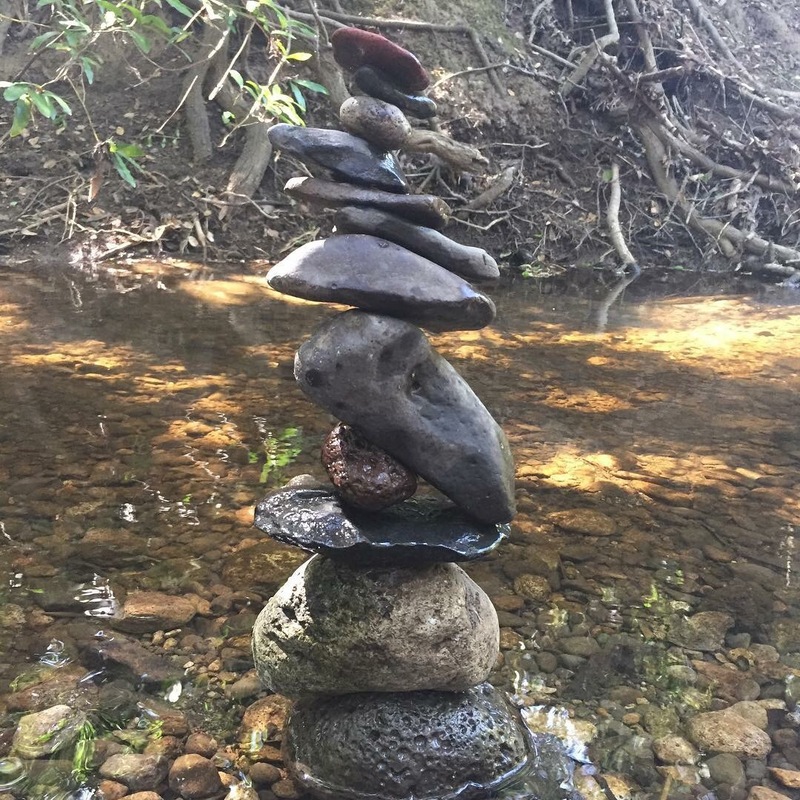 Look for the means to balance your life, including your time and resources which you share with others. Actions have consequences, Aries, and it would do you best to slow your roll. While you may wish to take forceful actions for change now, it may serve you better to be patient until the Sun enters your sign. March will provide you with a more rock-solid road map, and holding off from any negotiations at the moment, can allow you time to take a more creative approach. You will be ready to make more important decisions after the New Moon Solar Eclipse in Aquarius on the 15th, and find you can breathe over an unresolved issue by the New Moon in April. Taurus, if you have been anticipating a particular change which does not seem to be happening just yet, let the Universe handle it. Do you, continue to take charge of your own life, but do not allow yourself to fall into any ruts, simply because the status quo does not suit you and you can not see a way to change it. Not all change is within your power. Your beliefs may be urging you to take rather impulsive actions, but you need to be your earthy self and practice the art of soft control, especially when it comes to those in your immediate sphere. In February, Gemini, you have ample opportunity to exercise your free will and gain the upper hand in a situation, that is provided you are not sneaking around, trying to pretend you are someone you are not. The eclipses will do a very good job of shedding the light on anything which you have tried to keep hidden. You seem unable to make a solid decision just yet, and temptation of all kinds appears around every corner. It is time to move on into new, uncharted territoy and take back your life, for only when you regain charge of yourself and your path, will you be in charge of your life. Cancer, you really do not have that far to go to reach April, and the potential for freedom and new beginnings which you can unleash in your life by then, come as a direct result of a choice in direction made by you this month. Some days, the concept of a truly new identity for you feels a bit daunting, but life-altering decisions on your part can lead to new beginnings in March/April. Intuitively, you already know what it is you need to do, and a proper assessment of the complete situation will be helpful to you. Divine Intervention by the Universe puts you at a crossroads before the Full Moon of March 1. February, being eclipse season, Leo, has your name written all over it. It feels as though the Universe has left the light on for you, and your destination is happiness and fulfillment. There is likely some form of transition taking place in your life now, one which required you to take a chance in order to reach the level of balance and comfort you desire. While you are leaving something behind, the new you which is emerging will be stronger, more relaxed in the coming months, and clearer than ever before on the direction necessary for you to go. A team effort may help you to produce the best results, rather than going it all alone. You may wish for a little one-on-one time with a special someone during this month of love, Virgo, but family obligations and gatherings may manage to get in your way. It does not look like something from which you can wriggle free. Sharing too much of yourself, as in spreading yourself too thin, can only lead to disappointment and undermine any feeling of stability which you may be trying to foster now. New beginnings in your life come as a result of the closing of old doors. It is eclipse season, so relationships will be up for review. Choosing together to end a particular relationship can ultimately provide the new beginnings you seek, and put you back in control of the direction your life is taking. Libra, you need to step out of your own way this month; if you are not feeling as in charge as you would like, stop doubting yourself and your abilities. Feelings of imbalance and being cheated may cause you to seek new beginnings in a very creative manner. The only one who can stop you is you, and if you stop lamenting the status quo, and start tackling that To-Do List, you can truly make progress toward your future. As a creature who requires balance and is all about relationships, you will find these themes to dominate February for you. Combine the two words, and strive for balance within your relationships; it is time to see eye-to-eye with another and get everyone on the same page. Obligations which seem to have an inescapable hold on you, Scorpio, become an increased focus of your attention. It will take creative planning on your part, and the involvement of others, to help you see through at least part of your plan by the Equinox in March. By the Solstice in June, your new beginnings are right in front of you. The Universe does intend to grant your wishes, and to help you to take charge of your vision in a major way. You have an immense potential for creation this month; it is up to you what you wish to create. There may still be some patience necessary with the fulfillment of your hopes and dreams, but they are coming. Trust in the Universe to guide you. Sagittarius, joining forces with others can really help the creative processes flow better this month. Your potential for change is growing day by day, and making path choices which connect, or keep you connected, with the most secure of your commitments, really helps to set you off in the direction of a course for success. If you have felt restricted with regard to a particular project, do not worry, for after the New Moon in April, the delays around it will be gone. Your recognition will grow in the coming months, and your creativity heightened. Use free will to your advantage and you will feel more in control of life than you ever have. February finds you rising to the challenges, Capricorn, and feeling as though you have come out on top in a certain matter. Allow yourself to take the chance, even if you feel your actions may not conform to poplular opinion. It is always best to be true to you, and not feel as though you have to sneak around and hide what you are really doing. The things you are doing this month, can lead to abundance and success next month. Follow the phases of the Moon to chart your successes, and watch the various parts play out before you. Keep the truth on your side, for it is possible to see everyone else on the other. Aquarius, people are watching you both near and far. While no one appears to be offering help, you are handling any extra responsibilities which come your way just fine. Whether your efforts be humanitarian in nature, or you are in the position of caretaker, others recognize your efforts. You are being guided in your decisions, and while you can not see the outcome of your actions, you will need to decide by the time of the Full Moon on March 1. New beginnings are on the horizon for you, and you may find yourself raising a glass to your powers of manifestation. You are mentally curious as to what lies down that road ahead, and can not wait to discover the adventures it contains. You are more ready than you have ever been for something new, Pisces. You are busy assessing the roads before you, and the possible outcomes you can achieve through your choices. Choose with balance, and ponder your decisions carefully, perhaps waiting until the Sun enters your sign before making up your mind. It feels as though, no matter your choice, you come out the winner, which is great news for you. Keep working behind the scenes, as you will probably not see the manifestation toward which you have been working materialize until after the New Moon in April. Amid the flurry of activity which encompasses this month, do not forget to take time out to stop and smell the roses, and perhaps catch up with an old acquaintance or two. This entry was posted in Astro-Tarot, General Tarot, Love and Finance, Patreon, Readings, YouTube Videos and tagged Aquarius, Aries, Astro, Cancer, Capricorn, Gemini, Leo, Libra, Pisces, Sagittarius, Scorpio, Tarot, Taurus, Virgo. Cruise on into 2018! While there is smooth sailing ahead, there is still much work to be done. Your major focus at this time is to take charge of your life in such a way that you never feel such difficulty ever again. A more social vibe is present, even if it is only through online communication. Perhaps someone finally listens to your pleas for help; you are tired of going it alone, and even the smallest amount of assistance can go a long way. As you continue to cultivate all of your possibilities, keep sending what you want out to the Universe. It is not likely you will see it come to fruition immediately, and you may even start off a bit indecisive as you ponder your next move. This month begins and ends with a Full Moon, and, in between, the potential for manifestation is tremendous. Persist in achieving what you desire, for you can truly make it happen. Let the Universe help wash away and dissolve any fears which may have been holding you back. There is an open road ahead with zero retrograde planets this month, after January 2. Remain wise and grounded; you shall find you feel more secure within a particular area. This is the road to recovery, folks. You have already made some necessary changes to help restore you to your rightful power. January finds you feeling as though you are really getting your mojo back. It isn’t just that you are so over 2017, you are so over all of the nonsense which you endured for a number of years. Clarity like you have not experienced in quite some time is available to you this month, enabling you to see clearly how to better organize your life. It will be apparent to you what is a true priority, even as you go forth in pursuit of your hopes and dreams. Even with the many changes you have made, you have been hopeful for a big transition in your life. It is coming…through patience. Everything is happening in phases and life is always giving birth to new cycles. The potential for abundance is increased now, and a relationship of some sort can take a significant turn. It may be wise to not say what you are truly thinking just yet. Soft control garners greater admiration than criticism or brutal honesty. Aries, any form of betrayal which you have experienced will be dealt with now. What was hidden will become exposed and the truth will be revealed. Karmically, there is a division of good and evil, so all will be dealt with accordingly. An opportunity for change arrives which may require a decision as to how you truly wish to lead your life. Look over every aspect carefully, as now is probably not the time to make a choice. Next month may be better. Any negotiations, or disputes in which you become involved, should be resolved to your liking. Do keep in mind cause and effect, since later you may wonder if you really came out as the winner. You have a vision for change in your life, Taurus, and your happiness is top priority. What you truly want may not materialize for a bit, but keep sending it out there…the Universe is listening. You should probably hold off on any major decisions this month; that crossroads is coming soon enough for you, and February may be better for deciding. It is through separation and elimination that you achieve your finest victories. Attention to detail will be necessary, and if you feel that the actions of another are not above board, then you need to take a more defensive stance. Allow yourself to be guided by your passions rather than your fears. Gemini, this is a month chock full of surprises, as Uranus, planet of shock and surprise turns to direct motion on the 2nd. At the time of the Full Moon in Cancer on the 1st, it is necessary for you to release your fears regarding the hard times you have faced in the recent past. Any victories may feel bittersweet, as negotiations and concessions may be in order so as to smooth things out. Relationship struggles can lead to betrayals, and emotional outbursts do not serve to improve matters at all. After a tremendous bout of patience, Cancer, you are finally able to head in the direction of your desired destiny. Your plan has required you to reverse roles, so the teacher becomes the student, and vice versa. Whichever capacity serves you best, you can apply your wisdom to achieve victory. Emotionally, and around the home, you are recognizing your true identity, and a change in direction may be in order soon. Set a new course for life to put things back on track, overcome that which does not serve you, and bathe in the success which is meant to be yours. Leo, you may love family time and holidays as much as the next person, but January has you chomping at the bit to get yourself back out there and find your next big opportunity for adventure. The Universe has helped you with solutions for alleviating stress by showing you ways to create a more secure environment for you and your loved ones. Try not to lose sleep over any projects and plans on which you might be working. Putting too much stock in the outcome, because you can not see what it is, can prevent you from enjoying the ride. Restrictions surrounding commitments may haunt you this month and prevent you from moving forward…just yet. As the year begins, Virgo, you are determined to see things turn out your way, but with this journey comes a great deal of responsibility which may leave you feeling as though you are going it alone. You know which changes you desire and you have the passion to make them happen. Keeping your priorities straight and giving equal attention to everything with efforts expended, will lead you to great success. Family ties remain intact throughout, and doing what needs to be done, alleviates tremendous stress, brings great clarity, and puts you on the road to brand new adventures by June. Once you have worked the details out fairly, you will be cruising toward a new beginning. 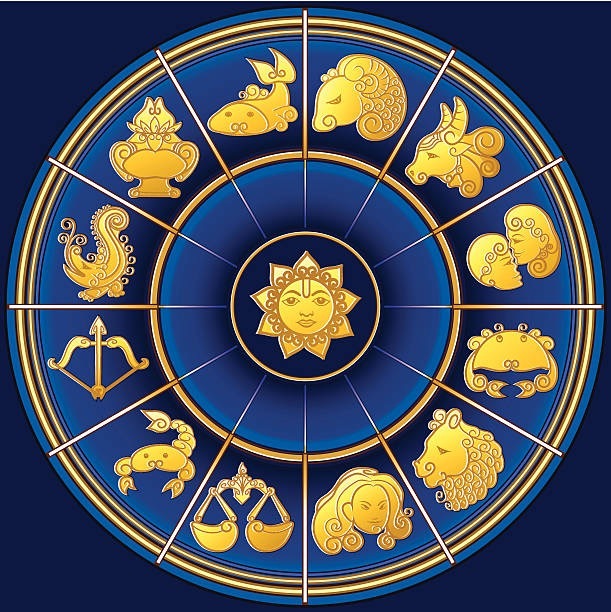 Libra, January ushers in good news regarding the past. The pace picks up toward the pursuit of your hopes and dreams with all planets direct after the 2nd. Be firm in your quest for change; apply the knowledge you obtained from last year to help guide you through this one. Wisdom and a down-to-earth attitude can take you far, making life more manageable. Your fate, and the outcomes of particular situations, are not always meant to be known beforehand. This month you will achieve the clarity to create major breakthroughs and begin opening some stuck doors by March. Be true to yourself and there will be much to celebrate. Like a wounded bird who wants to fly, Scorpio, you simply want 2017 to be dead and buried and to be set free at last. January brings with it great potential for drastic change and manifestation, allowing you to do just that. You continue with Jupiter in Scorpio through November 8, and Mars remains in your sign through January 26. Go ahead and give it a go. Life has not been much fun, but if you keep pushing in the direction of success, it will be yours. Any lonely, boring times are about to become a thing of the past in 2018. It is time for you to be reborn and experience your turn. Sagittarius, you so want to feel able to stand on your own two feet, after hosting Saturn in your sign for these last couple of years. Your recovery period is ongoing and it will be more noticeable to you by June. Starting now, you will find new ways to combat stress, and need to start with the belief that the other shoe is not about to drop. Not all lingering issues can be dealt with at once, so work toward a sense of balance, and what you can not figure out alone, know that you will be guided. Remove doubt and fear from your vocabulary, and consider anything gone from your life unexpectedly to be a stroke of good luck. January is a month of discovery, Capricorn, and, along the way, you can expect to see many twists and turns, with some out-of-the-blue events garnering your attention. You may wish to explore behind the scenes the get to the heart of the matter. A focus toward security will be a given, and you will focus on removing any barriers in true businesslike fashion. Some things are not meant to be discovered until next month, but you will remain very curious in the coming weeks, as you attempt to grow opportunities and open new doors. Your creativity is greatly heightened at this time, and a new skill set will serve you well. No one would ever call you boring, Aquarius, but there is a private side to you which does not always wish to be on display. How others see you may not be how you truly are deep down inside. Eclipse season rolls in mid-month, and an opportunity to excel may bring your public side more attention than normal. Time with family is important, but you are not defined by four walls. Fate steps in with a work-related adventure, but you question whether, or not, the timing is right. Be prepared for criticism from others if you merely throw caution to the wind in order to pursue it. Pisces, your future is rolling on in over these next few months. The Universe definitely has a few tricks up its sleeve, designed to move you out of your comfort zone when it comes to relationships. Do not allow your fears to trap you. Not rushing into anything is your best option. A tidal wave of change is on the horizon by March. Use this time wisely to achieve greater clarity and begin to live your truth. Keeping any extra finances under wraps works to your advantage, since you may still be feeling a bit cheated from Saturn in Sagittarius, and a desire to overcome the restrictions you felt during that transit. I have prepared individual, in-depth Tarot Guidances for each sign, each over 20 minutes in length, available now through Patreon and YouTube! This Full Moon in Gemini occurs just hours after Mercury begins its final retrograde of 2017. Recent victories may prove slow going in the attempts to move foward, likely because unfinished business of the past is going to crop up and demand your attention. Mercury retrograde after all is about the re-, re-, re-‘s of life. Never fear if you are feeling as though the path to your desired future is not 100% clear. You have persevered this far, and you will continue to do so; achieving your hopes and dreams may involve a great deal of hard work, over and above your regular routine, but you are up to the task. Your choices are being guided by the Universe, and you should continue to put forth efforts on all projects which are currently underway. Pace yourself in all areas, for example, both time and finances. To put forth too much in any given area could prove stressful, but it is, by all means, unavoidable. Put your best foot forward, as the holiday season is now full-steam ahead, and show compassion toward others, and perform random acts of kindness wherever you can. These feel as though they would be therapeutic for your soul; they help wash away the disappointments of the past, and provide positive energy, not only to your holidays, but to those of others. For all of the worry and the doubt that life would never contain any fairness and balance for you, there is a change on its way. Mostly, what you feel you have sacrificed is your time; things are not that important, now that you are gaining your freedom from the situations which caused you so much aggravation in recent years. Your belief system is growing stronger now, as you begin to see the wondrous ways in which the Universe works. I have prepared a special Tarot Guidance for The Full Moon in Gemini (20:13 in length), available now on Patreon as part of a $5 per month subscription. To join, go to https://patreon.com/tarotbycecelia/ – don’t forget to download the app, login and enjoy! This entry was posted in Full Moon, General Tarot, Love and Finance, Patreon, Readings, YouTube Videos and tagged Full Moon, Gemini, Guidance, Path, Reading, Tarot.